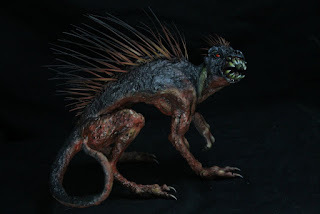 Arman's RPGs: Cryptid Underground Breaking Story: ¡El chupacabra vive! Cryptid Underground Breaking Story: ¡El chupacabra vive! Tuesday, the 4th of September, about two weeks after the events of the previous adventure, several members of the gang were sitting down for breakfast together when another student approached them. She introduced herself as Leslie Merspin, and asked if they were willing to make a little money. She explained she worked for a tiny magazine and blog company, called Cryptid Underground. They had heard rumors of a creatures in the nearby woods, and hoped to get a picture of it. After some thought, the gang agreed to meet with her boss. That afternoon after classes, they drove to the Cryptid Underground offices behind the News Journal. They met Eric Granger, the editor and owner, who explained what was going on. 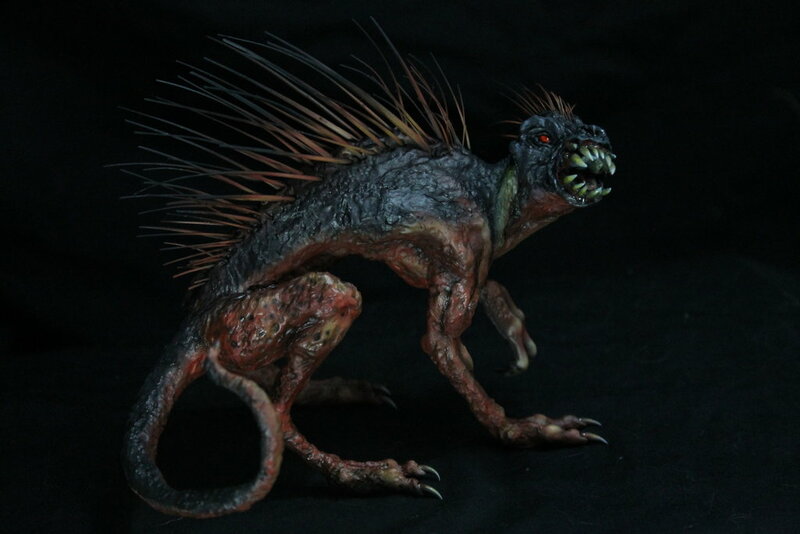 There had been sightings of a creature in the woods near the Walmart, south of 20; a couple fishermen had spotted a creature the size of a very large dog in the underbrush, with a ridge of quills on its back. 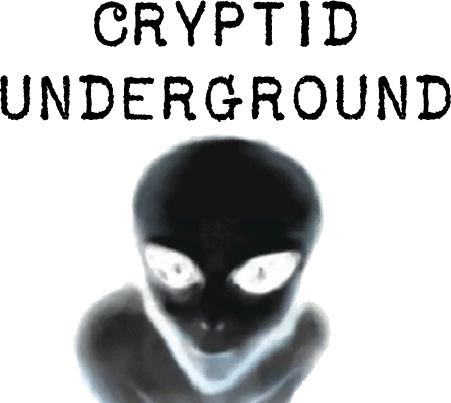 Whatever it was, it sounded like a cryptid of some sort; Eric promised a reward of $50 for a single still image, $20 for each additional image, and $100 of clear video of the creature. Croiky, look at that beut, mates! The group stopped outside for a few minutes to check prices on cameras and equipment, then split up to go to various stores and pick up some cameras and memory cards. Equipment in hand, they headed to the woods. After hiking about a quarter of a mile into the marshy brush, they stepped out into a clear area, and came face to face with... a creature! Toby fumbled with his camera, but Will, who had been poking at his camera earlier, managed to get a perfect video of the creature before it dashed off into the brush. Toby was quick to follow it, tracking its footprints and taking a few pictures of them along the way. They moved diagonally to a nearby trail, then looped north, finally stopping at the edge of a cleared area under some power lines. As Zac stepped into the clearing, he suddenly stopped, staring into space... a vision overwhelmed his senses. He saw through someone else's eyes as they moved into the clearing, carrying a bag. He caught sight of two linemen, and stopped until they left, then moved forward and dropped the bag on the ground, pulling out a shovel and digging. He dug a hole a few feet deep, and stopped to wipe his brow; suddenly, there was a flash of movement at his side - and the vision popped and stuttered like a bad transmission. When it cleared, he was laying on the ground. He was rolled into the hole, then the bag dropped on top of him... then covered with dirt. Zac relayed this to the others, who quickly began searching the area, the cryptid all but forgotten. Will found a $100 bill, stained with red ink; Toby and Alistair found a patch of disturbed earth, and began scooping it out, using Toby's machete to clear were roots had gown. Only a few scoots in, they realized the hole was adjacent to a fire-ant mound, and had to move carefully to avoid the swarming ants! Eventually, they uncovered a bag... and a human skeleton. Only a few scraps of cloth remained, and it seemed to be missing a femur. Carefully opening the bag, they found about $700 in badly stained bills inside, and wrapped in a plastic bag, a leather necklace with an arrowhead on it. As they uncovered the arrowhead, the city sounds and skyglow faded as the sounds of the forest grew. In the distance, a police siren dropped into silence... and the shriek of a wildcat echoed through the suddenly silent woods. Alistair racked his brain, but couldn't recall any specific folklore concerning being transported to another world, or similar; there were plenty of tales, but none stood out from the others. 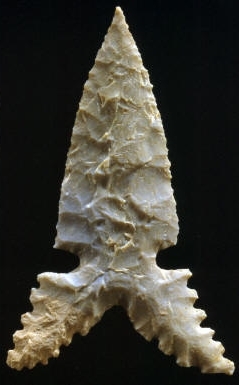 Toby, however, remembered a story he had read at a museum; the arrowhead was knapped, using a Caddo Indian technique, and he had seen other similar arrowheads and knives. The strange atmosphere reminded him of the story: not terribly long ago, some burial mounds were discovered; inside one was buried a Caddo Indian chieftain. As far as the researchers could discover, he had ruled for a long time, protected from evil spirits by a magical arrowhead necklace. Another member of the tribe grew jealous, and stole the necklace, but knowing he would eventually find it again, had it cursed. Alistair and Will heard a rustling, scraping sound. No... not scraping... it was the sound of ants, a huge swarm of them! The group bolted for the path. Will easily dashed ahead, but Toby tripped on a root. Alistair smacked into a low-hanging branch, and Toby, coming up behind him, plowed headlong into a tree.Stumbling to his feet, he managed to shake off the ants already at his heels and bolt for safety - just past a sign reading "Keep out, private property." Just up ahead, Will caught sight of a flashlight, flickering dimly. He and the others stepped off the path into cover. When Toby saw that it was a police officer, he stepped out, with Alistair behind him. The officer, shaken by the strange night, treated them perhaps a little more harshly than he should have; after a bit of back-and-forth, he took them to his squad car, and from there to the police station, where they gave their testimonies, and were charged a $50 fine for trespassing. Will, Zac, and Alora stayed hidden until the officer left, then returned to their vehicle. As they neared the edge of the forest, the strange aura lifted, and the city sounds and lights returned. They picked up Toby and Alistair when they were released, and eventually, they all made it back to the Cryptid Underground offices. Eric originally offered them $100 for the video, but Toby convinced him to pay the $100 of fines, plus another $20 for the photos of the footprints. After paying the fines, everyone gets $24 from the ordeal. Time passed; Alistair, Toby, and Will each had their birthdays. Alistair and Will each got the fancy cake-and-gifts package, while Toby got a lovely card, and some home-baked cookies. Since Will is 21 now, he can put in for his concealed carry license, if he wants. Of course, school is still a thing; midterms rolled around (and Zac and Alora will need to roll for those). Will and Toby passed their tests; Will caught the eye of one of the financial aid supervisors and gained a Connections edge with them. Toby got to know one of the secretaries, and also gained a Connections edge. 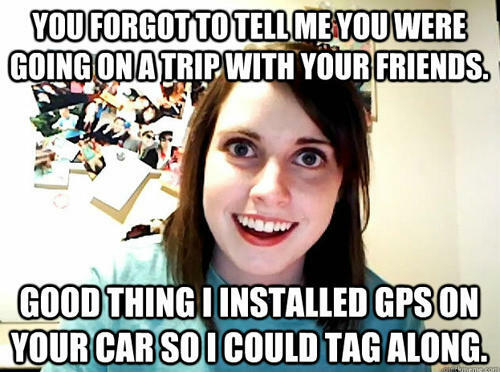 She wouldn't actually say this. You'd find the tracker! Alistair, however, attracted... a different sort of attention. Sitting down to work on some homework in the Library, he got an instant message from a fellow classmate. "Hey, I was wondering if you'd like to go on a date with me! We could meet after your 11:45 class, because that's your last class of the day, and I switched my schedule so I'd be across the hall from you. I'll even wear your favorite color!" Alistair, somehow not realizing how much of a stalker this person was, agreed. Which, by the way, means you've replaced your Extracurricular Activity with Romance: -1 to your Finals' Academics roll, and over the course of the semester, you'll spend $100 on her. But, any time you spend a benny on a roll that "reflects your will to press on for your loved one," you get an extra d6, so at least there's that? Alistair's new girlfriend is Michele Kuhns, 17 (birthday January 29), a Biology major from Vernal, Utah, and God says that you are going to get married and move to Vermont when you graduate. Shortly after midterms, the group was invited by GlenMac to go out to eat; Cornerstones is done, but after seeing your names in Cryptid Underground, he wanted the whole story over a meal at GZ's - his treat. He introduced his girlfriend, Monica Dragic, a businesslike woman in her late 40s. As you filled him in, he raptly hung on every word. Monica listened as well, though only asked if you had any more pictures of the creature.